Plaster-boarding (also known as plasterboard, drywall, wallboard, gypsum board) is a panel made of gypsum plaster pressed between two thick sheets of paper. It is used to make interior walls and ceilings. Drywall construction became prevalent as a speedier alternative to traditional lath and plaster. 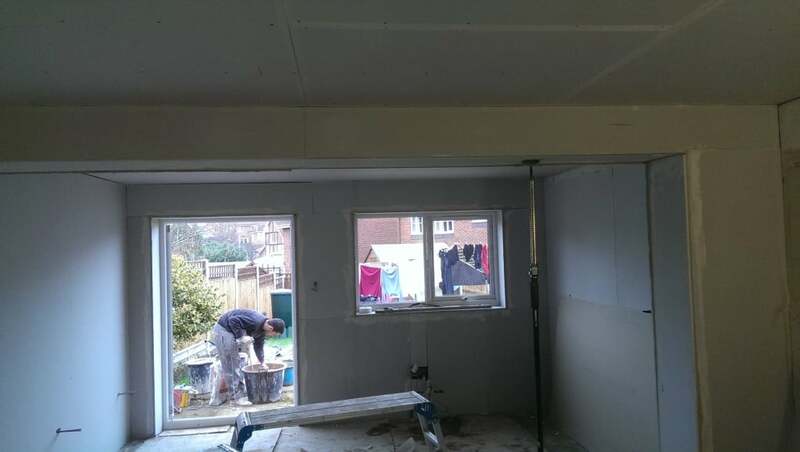 Using plaster board to create extra offices or rooms, is a cost effective way of maximising the space you have – whether it’s an office interior, in your home, or even turning your garage into a room (with adequate insulation). Installation of plasterboard and stud wall partitioning plasterboard is an inner layer of gypsum sandwiched between two outer layers of lining paper. Including various additives in the gypsum layer and varying the weight and strength of the lining paper will give the finished board different properties – available among others as soundbloc, moisture resistant and fire proof board. Internal walls can be made up of a timber frame with plasterboard attached on top. It’s quick to construct, lightweight and strong. The semi-hollow nature of studwork construction also means that pipes and wires can be run within the wall where needed. Stud wall partitioning can be used to divide up a large space and to box in pipes. 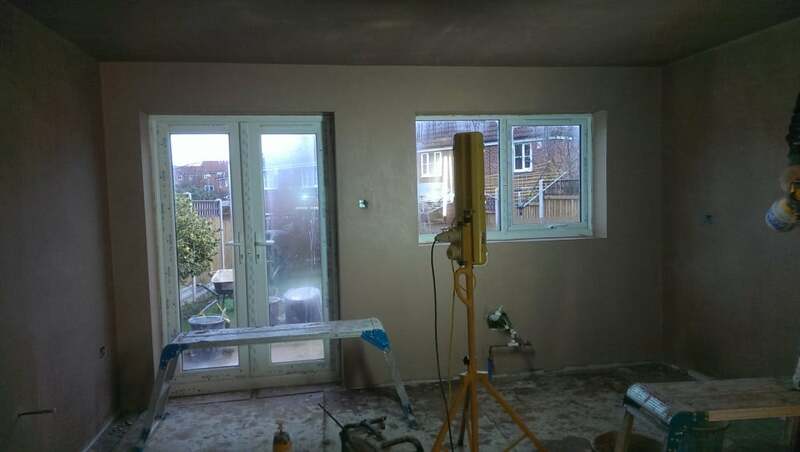 Dot and dab is process which we stick plasterboard to masonary walls using dabs of adhesive. The adhesive used is drywall adhesive and you can generally start plastering/painting the next day. (Drilyner Basic) Dot and dab is a simple and quick way to directly bond plasterboard to solid walls. Once set, the boards are ready for tape and jointing or skimming. Dry lining is a generic term applied to the use of (typically) plasterboard on timber or metal frames. Or (in the case of a finish to blockwork walls, on plaster ‘dabs’) as a replacement to conventional building practices (‘wet trades’) where brick or block, or more traditionally lath and plaster would be specified. We pride ourselves on our customer satisfaction and workmanship. Please click here to read some of our customers testimonials and feedback. My trade was taught to me by my father who was a master plasterer. I have an NVQ in solid plastering and hold certificates in Wetherby Thermal Rendering. Specialist in traditional sand and cement work and all aspects of plastering. Friendly and professional, I take pride in all my work, large or small. 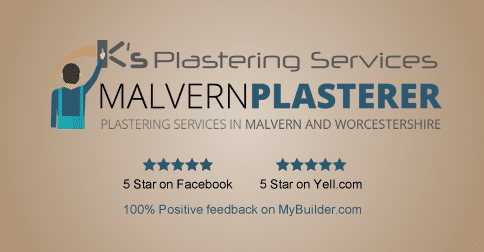 We are always happy to chat about plastering in Malvern and how we may be able to help you, give advice or provide our services. So please don't hesitate to call or email at any time. - FREE quotations and a warm, friendly and reliable service.